Andargachew Tsige, a member of a group seeking democratic reform in Ethiopia, has been held for more than a week. Ethiopia said Thursday that it wants Andargachew Tsige, a prominent figure in an outlawed opposition group, extradited from Yemen, where he was arrested last week. The government in Addis Ababa has accused Andargachew of plotting terror attacks in Ethiopia, a charge routinely levied against critics of the country’s leadership. International rights groups say the Horn of Africa country is using broad anti-terrorism legislation to crack down on dissent and media freedoms. Addis Ababa denies the charge. 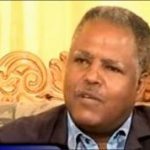 Andargachew, secretary general of Ginbot 7 — also known as the Movement for Justice, Freedom and Democracy — was arrested while on a stopover in Yemen’s capital Sanaa on June 23, as he traveled to Eritrea, according to a statement from the group. Yemeni authorities said Andargachew, who is a naturalized British citizen of Ethiopian origin, was held because his name was “on a list,” but gave no further details. 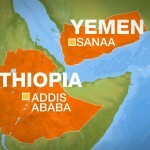 Getachew said it would be “the right thing” if Yemen extradited Andargachew because of his connection to Ginbot 7, which Ethiopia’s government has declared a terrorist organization. But Ginbot 7 said Andargachew was detained illegally and called for his release. “The Yemeni government doesn’t have any right to detain Andargachew, even for an hour,” the statement read. 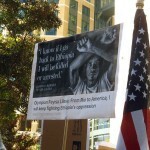 The U.S.-based Ginbot 7 says it is fighting for democracy and freedom in Ethiopia, and has called for the overthrow of the ruling party. Andargachew was part of a group of opposition leaders who in 2012 were sentenced in absentia to prison sentences ranging from 15 years to life on the charge of conspiring to topple Ethiopia’s government. Ginbot 7 leader, former Addis Ababa Mayor Berhanu Nega, who was also sentenced in absentia to life in prison, lives in exile in the U.S.